Flower Beads Engagement Ring for Thalia by Cynthia Britt. 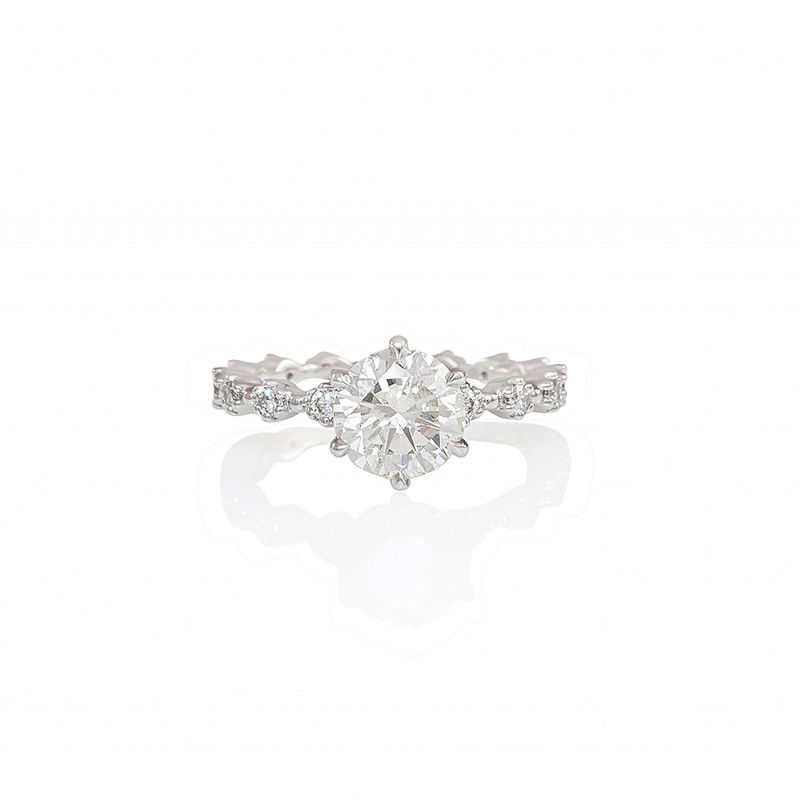 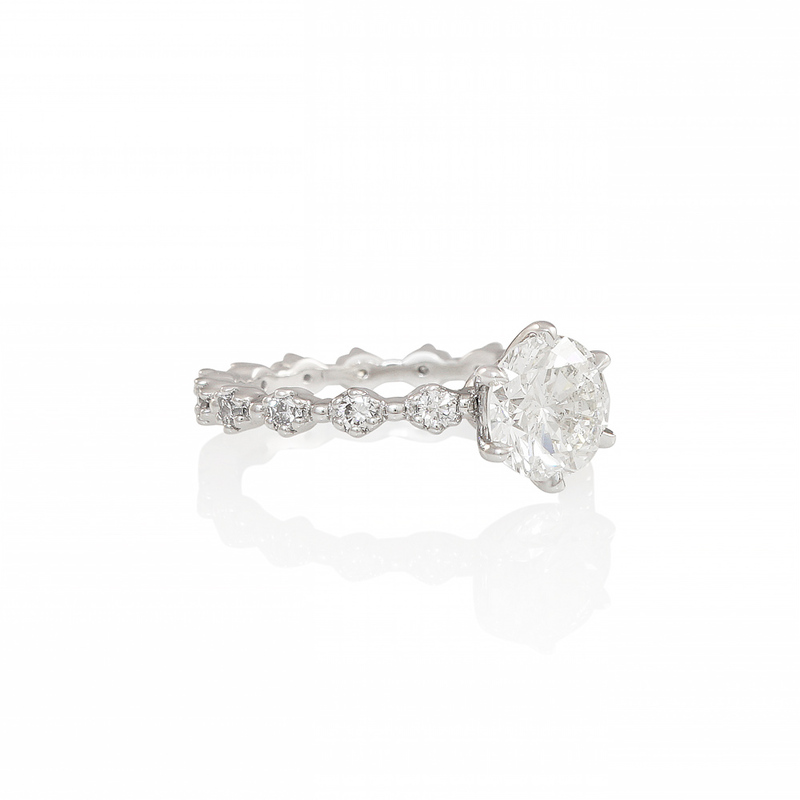 The combination of Cynthia Britt’s Signature 6-Prong solitaire mounting and Signature “Flower Beads” motif creates an elegant, unique, and timeless look for the ring. 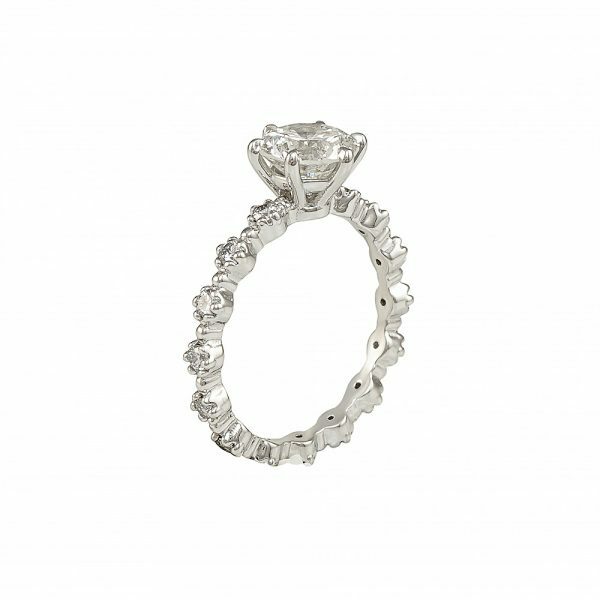 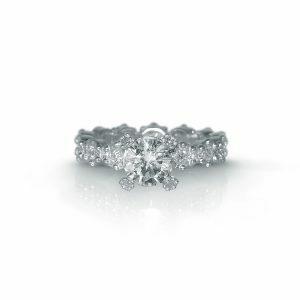 For inquiries on the center stone and to order your own custom made engagement ring, please contact Cynthia’s directly.